TANCET 2019 application form will be commenced from the month of April 2019. TANCET is a state level entrance exam to get admission into various PG programmes. The exam is conducted every year by the Anna University, Chennai. 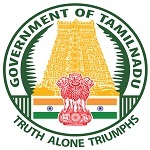 Candidates will be provided admissions in various government and government aided institutions in Tamil Nadu state. The University offers M.E., M.Tech, MCA, M.Arch, M.Plan and MBA courses. Candidates can get complete information regarding TANCET application form 2019, dates of availability, eligibility and how to apply procedure in this article. In this section, candidates can get all the relevant details related to the TANCET 2019 online application form. Candidates can apply through online mode only. Candidates have to fill only one application form for all the three entrance tests. Candidates can start the registration for entrance exam from April 2019. TANCET 2019 application form can be filled and submitted till the fourth week of April 2019. Candidates have to upload the recently taken photograph in the prescribed format. The candidates have to enter their personal details, qualification details, address, etc in the application form. After successful submission of the application form, candidates should take the printout of the confirmation page. The candidates have to pay Rs. 500/- (Rs.250/- for SC/SCA/ST candidates) for each programme. If candidates want to appear for more than one programme, for every additional programme, they have to pay Rs. 500/- (Rs.250/- for SC/SCA/ST candidates belonging to Tamilnadu). The entrance test fee can be paid only through online (credit card/debit card/net banking). Here we have mentioned the eligibility criteria for various offered courses. Other state candidates are eligible to apply but the eligibility conditions will be fixed by the admitting authority/University. For MBA: Candidate those pass the minimum of 3 years of bachelor’s degree with 50% or above marks (45% marks for SC/ST candidates) can apply. For MCA: Candidate should have the bachelor degree in any stream with mathematics at 10+2 level or at graduate level a with 50% marks (45% for reserved categories) in the qualifying exam. For MCA Lateral Entry: Candidates should have the bachelor degree in BCA, B.Sc (IT/Computer Science) with mathematics at 10+2 or graduate level with 50% marks (45% in case of SC/ST candidates) in the qualifying exam. For M.E./M.Tech/M.Arch/M.Plan: Candidates should have the UG degree in relevant field with 55% marks (45% in case of SC/ST candidates). Appearing Candidates: Such candidates are eligible to apply. Anna University, Chennai will conduct the TANCET 2020 on the behalf of Government of Tamil Nadu. Candidates can appear for TANCET 2020 exam to get admission into various PG courses like MBA, M.Tech, MCA, M.Arch, M.Plan, M.E, etc. Different colleges of Telangana state consider the TANCET scores for providing admission into these courses. TANCET 2019 application starting and ending dates are given below. Candidates can fill the application form as per the given dates . Go through the guidelines given below to fill the TANCET 2019 application form. Click on ‘Online Registration’ link. Fill the registration details like candidate’s name, email id, date of birth and mobile number. After that click on ‘Register’ button. A user ID and password will be sent to the registered email id or mobile number. Login to fill the details in the application form with the login details (user Id and password). Read the instruction and click on ‘Proceed’ button. Fill details like personal, qualification, exam centre, etc. Click on ‘choose file’ and upload the photograph in JPG/JPEG format with a file size of 20kb to 30kb. Click on ‘preview’ button and then click on ‘Pay Now’. After that, click on ‘Print Application Form’ to take the printout of the application form. If you have any other queries about TANCET 2019 Application Form, you can write your queries in the comment box given below. Sir, we have only one week remaining for the TANCET 2019 Registration,so kindly please share the link. Thank You. Link will be updated when it will be released. couldn’t find the official site to apply for TANCET exam. As i was trying to open the tancet application online registration i was not getting the link to open the registration form ,may i know what was the problem regarding the link? Can you provide the the Anna Univ TANCET-2019 registration form link? Link will be provided soon after its release. Still can’t find the link for TANCET 2019. Any idea when will it be available. When the tancet application will release??? i request you to send the link for tancet 2019 registration,which is the official website for tancet 2019 . We will update as soon as official notification will be released. When is the open date of tancet application? I didnt find any form in the link or official site of anna university. can you please tell us when the application form will be opened ? How can I find tancet application link?? We will update our article when the application form of TANCET 2019 will be released. It is not opened yet. We will update our article when the application process will start. We will update in our article when the registration process will start. Tancet exam link when it I’ll be open. Kindly provide the information. The link of applying for TANCET 2019 will be released soon. Can a correspondence degree holder eligible fr tancet and cat exams? Applications are not available till now. I’m unable to find the Official link of the tancet 2019. Can you please help me! Also please give update on the last date of application. Wait for the TANCET 2019 application process to start.